Flux Factory is a not-for-profit organization that has been organizing collaborative projects and supporting experimental programming for 18 years. Our residency program, now in its third year, is extremely competitive and has hosted over 100 artists and cultural producers from around the world. Residents benefit from an engaged and creative community, studio visits, monthly art salons, and exposure to a large community of creative collaborators who personal practices and develop projects collaboratively. We organize ambitious group exhibitions in our gallery, while doing projects as a collective in other institutions in the US and abroad. All residents participate in planning programming, and sustaining and growing the organization as a whole. Our building includes a gallery, a coworking office, a screen printing lab, and a wood shop. It also has a shared kitchen, library, and lots of amazing people. We are looking for an artist, curator, or cultural producer of any kind, who will also be an active community member, and a friend who enjoys being part of a exciting and active social milieu. Participation in the residency program at Flux includes opportunity to develop and execute socially engaged and collaborative projects. 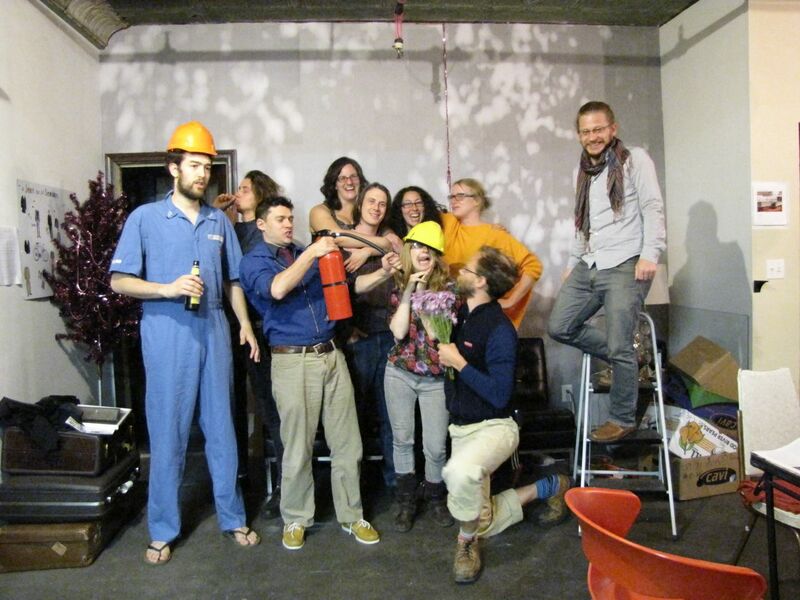 Residency periods are 3 / 6 / 9 / 12 months, and each artist must find their own funding for their residency, though Flux Factory can certainly help with this process. The cost for this residency would be approximately $950 / month. Applications will be considered as they arrive until July 15, 2012. An artist statement. Please include your age and your current city of residence in your statement. Please also tell us how you heard of us, and if you have ever been to Flux Factory before. Feel free to describe your collaborative experiences! Please write to residency@fluxfactory.org with any questions. You should definitely come for the art, but all the treats our generous sponsors have donated will help make this an even more spirited evening. The folks from NYC Media toured the many spots in Long Island City where you can do awesome stuff for free or less than $10. Flux Factory made the cut, and we're in good company with PS1, Local Projects, and Sculpture Center. Flavor Pill Read the original here.